August 2013 – VOLO Athletics produces ball for the Canadian Museum for Human Rights. 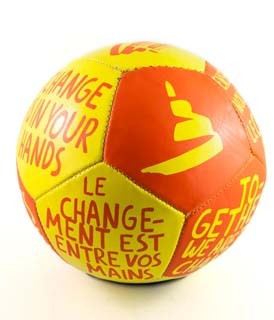 The Canadian Museum for Human Rights lists a Fair Trade Mini Soccer Ball in their e-store. The Canadian Museum for Human Rights commissioned VOLO Athletics to produce a Fair Trade Mini Soccer Ball to add to their e-store. Soccer, volleyball, basketball, and rugby are played the world over, but most people don’t think twice about the origin of the sports balls that are so central to these games. Tens of millions of sports balls are produced in Pakistan every year and while conditions have improved greatly, there are still known cases of poor work conditions, unfair wages, and even child labour. It is not uncommon to find children going to work to supplement their family income, instead of going to school to get an education. 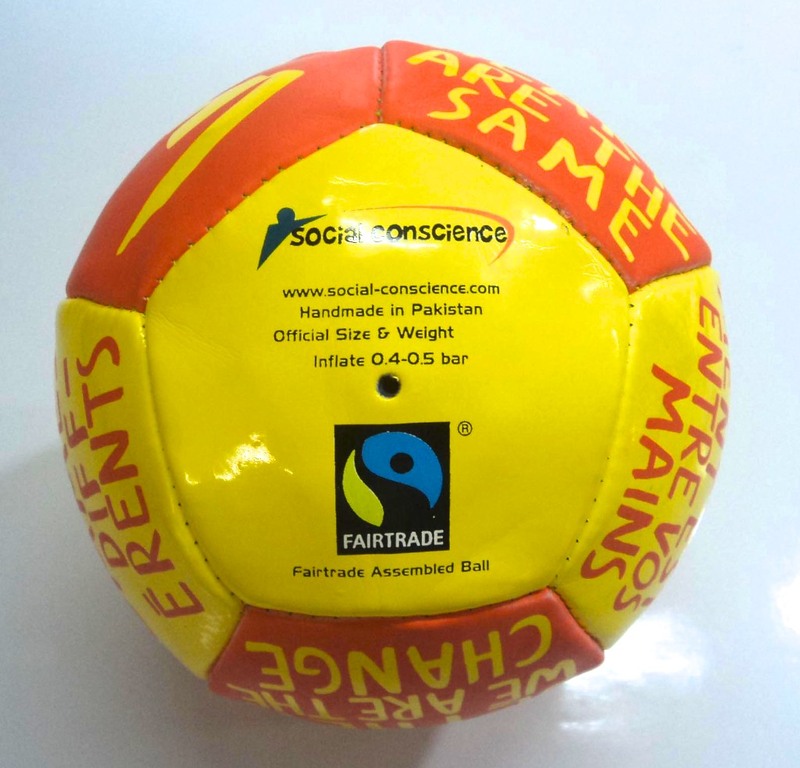 Under the umbrella of Fairtrade International, workers who assemble Fairtrade Certified sports balls are assured a minimum wage and fair employment conditions, as well as funding to invest in social and economic initiatives in their communities. Established by Parliament through amendments to the Museums Act on March 13, 2008, which came into force on August 10, 2008, the Canadian Museum for Human Rights (CMHR) is envisioned as a national and international destination-a centre of learning where Canadians and people from around the world can engage in discussion and commit to taking action against hate and oppression. The purpose of the Canadian Museum for Human Rights is to explore the subject of human rights, with special but not exclusive reference to Canada, in order to enhance the public’s understanding of human rights, to promote respect for others and to encourage reflection and dialogue (Museums Act).